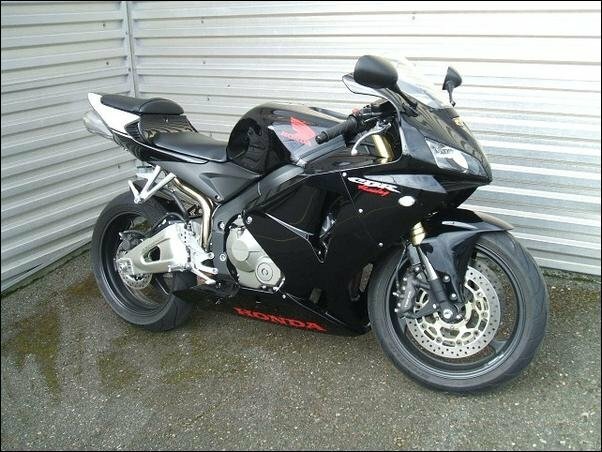 Description All black Honda CBR 600RR. The left mirror is broken off at just before the connecting base to the cowl. A few scratches on the stator cover. Integrated tail lights. Front smoked turn signals are not hooked up electrically but are in place. New tinted windscreen. Front cowl fairing does is not look symmetrical, slightly off. Diablo Supersport tires. No longer has the red Honda stickers on the lower fairing. No longer has the white stickers on the tail. License plate M594949 with expired DEQ tags.